Most of the smart phone users seem to have forgotten all the events and failures that have ever experienced by Samsung Galaxy Note 7. As is known, Galaxy Note 7 could be a conversation because it adopted a battery that was allegedly could cause an explosion. Because of that, Samsung finally issued a program withdrawal and replacement of Galaxy Note 7 on a large scale. Both Samsung, Operator / Provider, and Local Government Agency in every country have gone through various ways to make Galaxy Note 7 unusable. This is done in the hope that the user immediately returns Note 7 and gets a replacement. Beginning with the launch of a software update that aims to disrupt its users to immediately restore the handphone, then sent another software update that limits battery charging or other restrictions. Even the operator entered and began to block the SIM Card used in the Galaxy Note 7. Until finally Samsung issued a software update back that makes users difficult or even not at all to charge. However, although already in such a way, there are still people who love the Galaxy Note 7 and still use the phone to this day. The people ignored Samsung's "Disorder" software update notification, rooted it, even modified it in another way to keep their Note 7 usable. 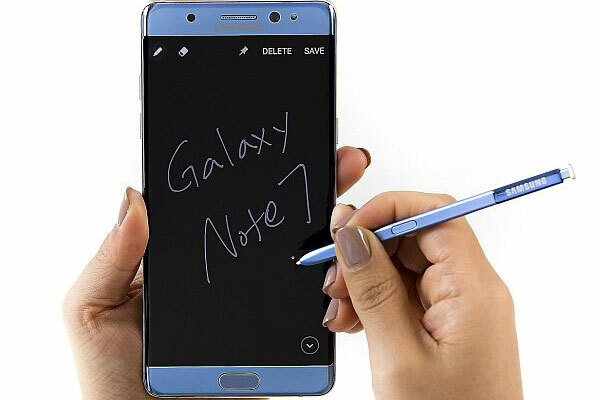 The funny thing is that there are still users who are loyal to the Galaxy Note 7 is not tempted at all with the new Galaxy Note 8 and has been sold for approximately 11 months until now since it was first launched. In fact, they are also not tempted to marry the Galaxy Note 7 FE (Fan Edition) as an improvement edition of Note 7 has been officially sold by Samsung and is available in some areas. Despite all the efforts made by Samsung, in April 2018 yesterday, the company noted that 'almost all' Galaxy Note 7 has been restored, and that means there's still an active device out there. So for those of you who are still loyal and insist on using your Galaxy Note 7, you should contact the nearest Samsung retailer or Service Center, or contact the operator to exchange for other mobile phone series or similar replacement mobile phones that have been proven safe. Even a moment soon Samsung will soon present a series of Galaxy Note 9 is more recent. 0 Response to "Important! It's Message for You Active Users Samsung Galaxy Note 7"